If you are attempting to decide between the various business visa options available to you, it is recommended that you assess which particular visa meets your particular qualifications. A great place to start your search is on the Australian Immigration website. This website will divide up the different business visa options and provide you with benchmark qualifications for what you need to do to ultimately process a successful application. The purpose of this visa is to allow a person visiting Australia for commercial purposes to conduct their business and to also stay for up to three months. The ideal situation for this visa is someone that is looking into bringing their office to Australia and needs to interview employees for potential employment positions. For individuals looking to stay longer than three months, they are going to have to reapply for the visa or consider a different business visa. The purpose behind this visa is for those that are looking to establish a business in Australia. When considering which type of business that they are looking to establish, individuals should remember that the business does not necessarily have to exist elsewhere. In fact, it is absolutely possible for the business to be brand new and only intended for the Australian market. There is also a portion of this visa that allows for the investment in Australia. 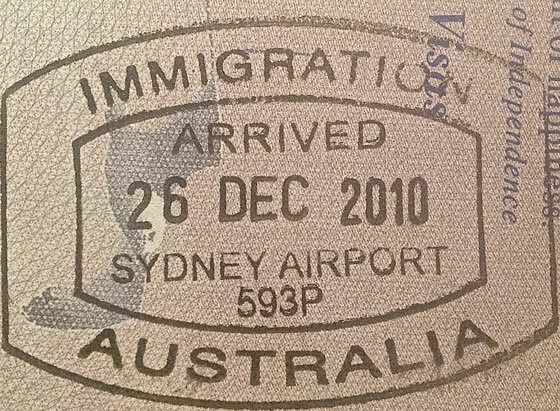 In order to be eligible for this visa, it is recommended that you have all of the following qualifications: be nominated by a state or territory government or Austrade, be invited to apply for the visa, have experience in owning or operating a business, and have a minimum amount of capital depending on which investor stream of the visa that they are seeking. The various streams of capital that are available are: having at least 1.5 million AUD to invest for an investor stream visa, having at least 5 million AUD to invest for a significant investor stream or having at least 15 million AUD to investment for a premium investor stream. What is wonderful about these visas is that they can last for up to four years and three months. What is important to understand about applying for a business or investor visa in Australia is that the process is slightly more complex than your traditional travel visa for business purposes. In fact, investors and business owners have the opportunity to include their families in their visa application due to the amount of capital that their business has the potential to bring to the Australian economy. Typically, Australian business visas are best handled directly at the Australian consulate or with an immigration attorney. That being said, it is impossible to apply for these visas from both within and outside Australia. It is wise to remember that these visas can cost up to 5,000 AUD because there is so much paperwork involved bringing in an entire company to Australia. Try the National Visas FREE ONLINE ASSESSMENT for Australia Business Visas to see if you are eligible for an Australian Business Visa. It only takes 5 minutes. If you are a business owner or are looking to start a business in Australia, then it is important to consider having a business visa in Australia. This is a really great way for you to benefit your family and yourself with a long term stay in Australia. The key to successfully process one of these visa applications is to obtain professional guidance. The reason for this is that the process is slightly more involved than other visa applications within Australia. If you are able to keep this in mind and obtain the necessary documentation and meet the requisite requirements, then there is every possibility that you can and will obtain a successful business visa or investor visa application to reside in Australia on a more long-term basis.